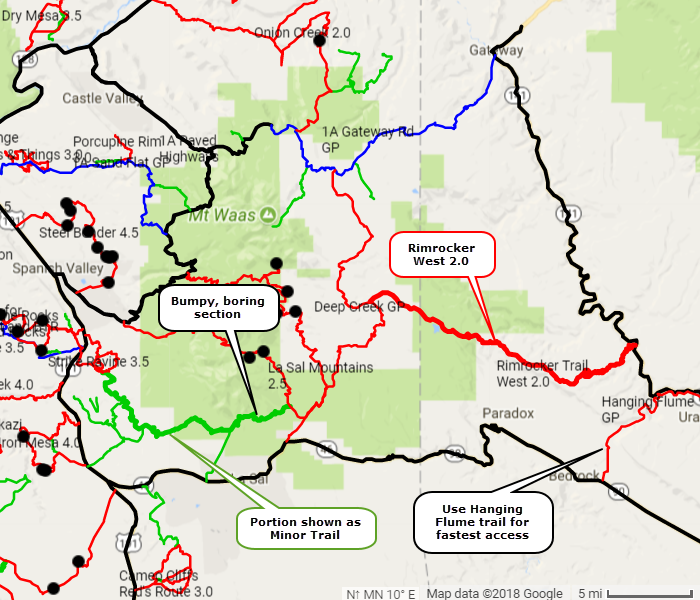 Rimrocker Trail connects a bunch of individual roads to make one continuous 160 mile trail from Montrose to Moab. 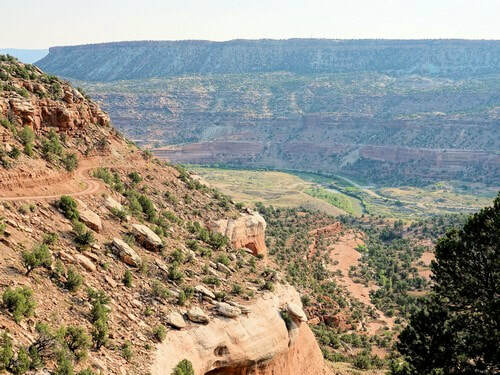 This page covers the western portion between Highway 141 and Moab. Begin this section of the trail on Colorado Highway 141 a couple miles north of Hanging Flume GP. The beginning is about 2 hours from Moab if you do not spend any time looking at the flume. Use the track from Hanging Flume to save time. 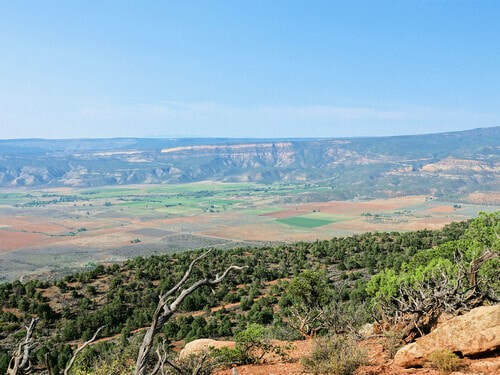 Climb up from the Dolores River and head west toward Moab. 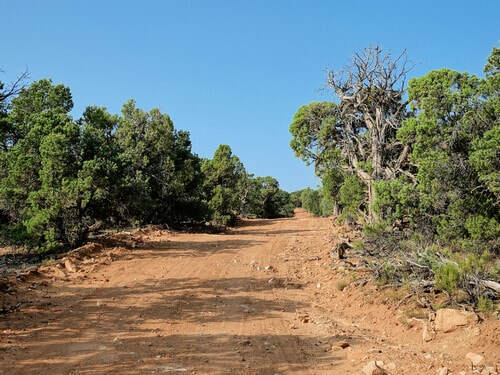 The first 6-7 miles is a mundane road through pinion-juniper forest. This trail appears to follow better graded roads when it must, and detours onto lesser roads when it can. None are difficult. 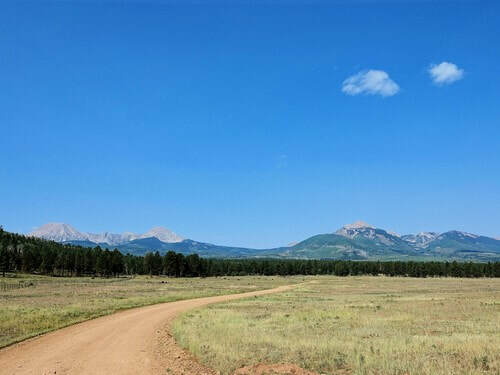 Continue across Carpenter Flats and you will eventually begin to have views of the La Sal Mountains. The trails parallels Paradox valley and comes close to the rim for a couple good views of it. About 17 miles from Highway 141 is Buckeye Reservoir and Recreation Area. 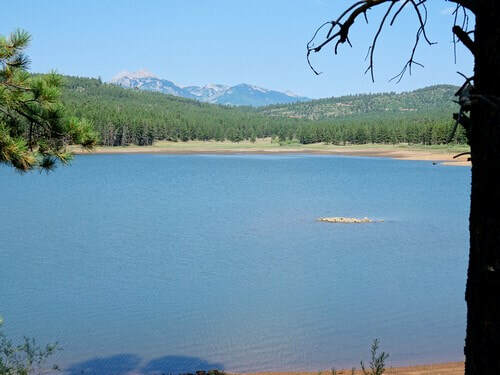 Campsites, boat launches and ATV trails. 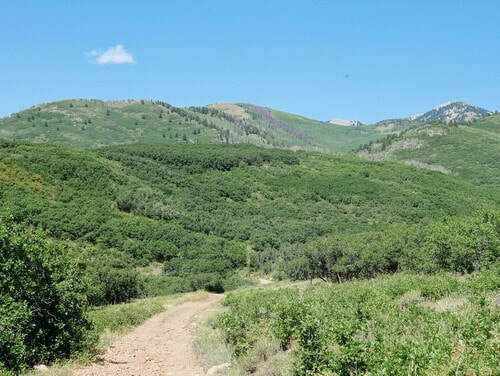 The next 19 miles follows wide, well graded roads until turning toward La Sal Pass. 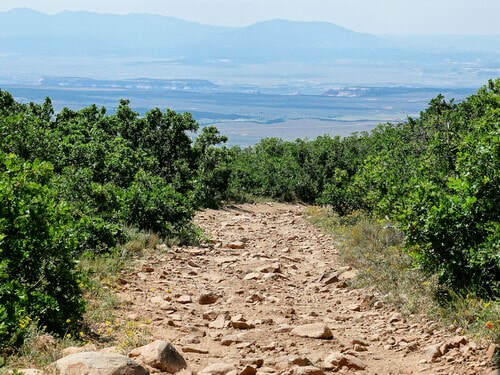 The trail is horrible after it leaves the La Sal Pass Road. 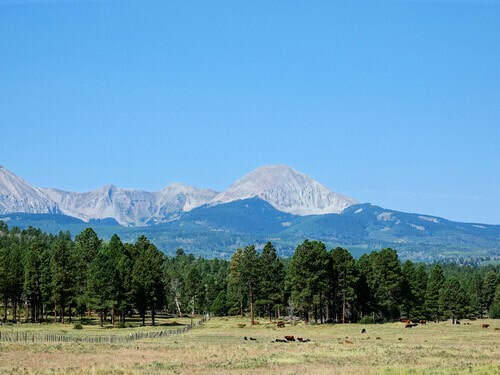 It wanders through boring oak brush in the foothills of the La Sal Mountains and is relentlessly rocky and bumpy. After 6 miles of this we said "No more of this trail for us". We turned left on Lackey Basin Road and headed for the highway. We do not plan to finish it in the near future. The track associated with this webpage (Rimrocker Trail West 2.0) is the portion from Highway 141 to the intersection with Deep Creek GP trail. This includes Buckeye Reservoir and is at least somewhat interesting. We do not show a unique track from this intersection to where Rimrocker Trail leaves La Sal Mountains 2.5. Just follow the main roads. 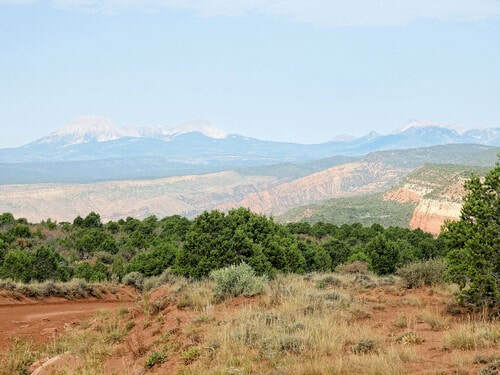 The section from La Sal Mountains 2.5 to the end of Rimrocker Trail at La Sal Loop Road is included in the 1a_all_minor_trails_moab.gpx file on the main Moab page. If the above verbiage confuses the heck out of you, go to the official Rimrocker Trail page and use their information.